Alexander Onischuk (born September 3, 1975) is a Soviet-born American chess grandmaster. 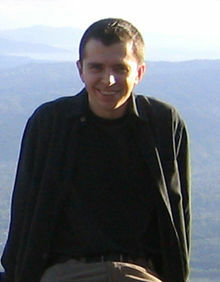 Originally from Ukraine, he immigrated to the United States in 2001. He was the 2006 U.S. Chess Champion. He is currently the fifth-ranked American grandmaster, behind Hikaru Nakamura, Fabiano Caruana, Wesley So, Ray Robson, and Gata Kamsky. Onischuk participated in International Chess Festival Biel 2007, where he placed second after Magnus Carlsen. He scored 5.5/9 like Carlsen, but lost in the tie-breaker match held after the regular rounds finished. In the fall of 2012, Onischuk accepted the head coaching job at the 2-time reigning national division I collegiate chess champion Texas Tech. 1st: The second board. World Team Chess Championship.